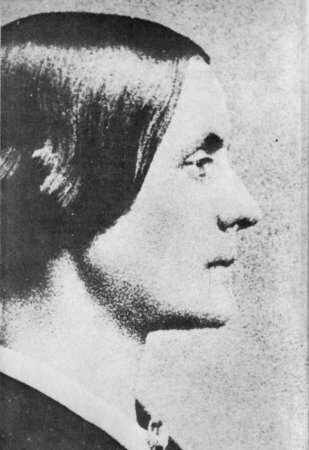 Susan B. Anthony was a prominent American suffragist and civil rights activist. She campaigned against slavery and for women to be given the vote. She was the co-founder of the Women’s Temperance movement which campaigned to tighten up laws on alcohol. She played a significant role in raising the profile of equal rights for women and is credited with playing a significant role in the passing of the nineteenth amendment (1920) which gave women the vote. Susan was born 15th February 1820 in Adams, Massachusetts. Her parents were Quakers and activists in the anti-slavery movement. Susan was brought up in a strict Quaker climate, which emphasised concern for others, self-discipline and living a principled life. She later dropped organised religion, describing herself as an agnostic. But she retained many of the Quaker principles she was brought up with. From an early age, Anthony was a keen student, and when her school wouldn’t teach her long division because of her gender, her father taught her at home. She became well educated at a time when it was not common for women to be educated. In 1837, her family was hard hit financially by the great financial panic of 1837. In the next few years, Anthony worked as a teacher, scraping a living and helping her father to pay off his debts. By 1846, she had become headmistress at Canajoharie Academy; her work as a teacher encouraged her to campaign for equal pay for women teachers who, at the time, were paid considerably less than men. In 1846, she left teaching and moved to the family farm in Rochester, New York. After retiring from teaching, she spent more time campaigning on political issues. She was closely involved in the local temperance movement – a movement campaigning about the evils of alcohol and for stricter legislation. She was also active in the anti-slavery movement, collecting petitions against slavery and delivering them to Congress. Overcoming a shyness about public speaking, Susan became a prominent public figure in the anti-slavery and Temperance movement. Once a petition was rejected because the petition contained mainly women’s and children’s signatures. This encouraged Anthony to give more importance to gaining the vote for women. Without equal voting rights, she felt her campaigns against alcohol abuse were too easily dismissed. Also, in 1850, she read a speech by Lucy Stone from the Women’s Rights Convention, which inspired her to devote herself to the cause. Over the next few years, she became more involved and committed to the women’s suffrage movement. She met fellow women’s suffrage leaders, such as Amelia Bloomer and Elizabeth Cady Stanton. From an early age, Anthony had also followed her family in supporting the end of slavery and giving equal rights to people of color. In 1856 Anthony worked as a very successful agent for the American Anti-Slavery Society. She pioneered effective methods of canvassing and was willing to arrange meetings, make speeches – despite widespread hostility. In Syracuse, New York, she was even hung in effigy. 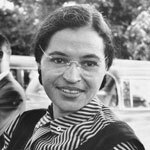 She later saw an opportunity to unite the women’s struggle with the civil rights struggle. However, in 1869, she felt let down when the American Equal Rights Association dropped their support for women’s suffrage and the 13th amendment just focused on giving black men the vote and not women. After this disappointment, she began to focus more on gaining women the vote. In 1869, along with Elizabeth Cady Stanton, she founded the National Woman Suffrage Association (NWSA). The organization was dedicated to gaining women the vote. Anthony served as vice-president to Stanton. Anthony frequently sought to make alliances with the many other disparate women’s suffragist groups. This was often at odds with Stanton who was keener on taking a more independent hardline approach. However, Anthony felt the women’s message would be stronger if they spoke with one voice and didn’t appear divided. 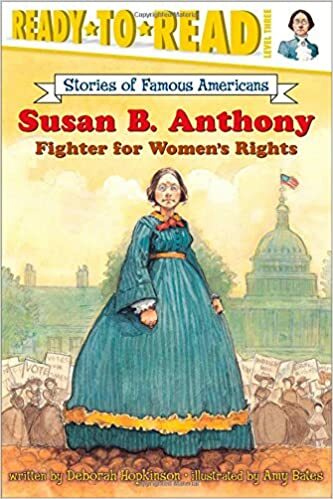 In February 1890, against the resistance of Stanton and some members, Anthony orchestrated the merger of the NWSA with Lucy Stone’s more moderate American Woman Suffrage Association (AWSA), creating the National American Woman Suffrage Association (NAWSA). In 1868, Anthony began publishing a weekly journal: The Revolution. The journal advocated equal rights for women and negroes. It called for women to be given the vote and universal civil rights. She also extended the range of issues to tackle problems such as equal pay and divorce law. She was willing to take on unpopular issues and challenge the prevailing customs and beliefs of the day. However, with a policy of paying high wages, and a very strict approach to adverts (rejecting alcohol and morphine-based drugs), the paper incurred large debts, and it was only able to struggle on for two more years, finally closing in 1872. In 1868 the US Congress passed the Fourteenth Amendment which guaranteed equal rights to all citizens – making no reference to gender. On November 1872, Anthony voted in the US Presidential election, arguing this amendment gave her a constitutional right to vote. However, two weeks later she was arrested. At her trial, the judge, Justice Hunt, denied her the right to testify, then told the jury to give a guilty verdict and read an opinion he had written before the trial. She was given a $100 fine. Her trial increased her profile, and she embarked on a national speaking programme to raise funds and spread her message of supporting equal rights for women. Anthony retired from active political activity in 1900 and died of heart disease and pneumonia in New York, 1906. Fourteen years after Anthony’s death, women’s right to vote was guaranteed by the Nineteenth Amendment (1920). With Elizabeth Cady Stanton, founded the National Woman’s Suffrage Association NWSA in 1869. She was president until 1900. Published “The Revolution” from 1868-1870 which campaigned for women and civil rights. Wrote the Susan B. Anthony Amendment in 1878 which later became the 19th Amendment giving women the right to vote. First person to be arrested and be put on trial for voting in Nov. 1872. Edited “The History of Woman Suffrage (4 vols. 1881-1902) with Elizabeth Cady Stanton and Matilda Joslyn Gage. Gave 75-100 speeches a year for 45 years, travelling throughout the United States by stagecoach, wagon, carriage and train. Campaigned for women to learn self-reliance and self-confidence. – Speech in San Francisco (July 1871). 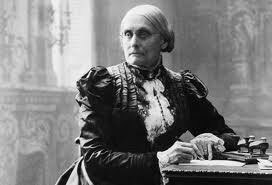 – Susan B. Anthony asked shortly before her retirement if women would ever see the time when they were given the vote.